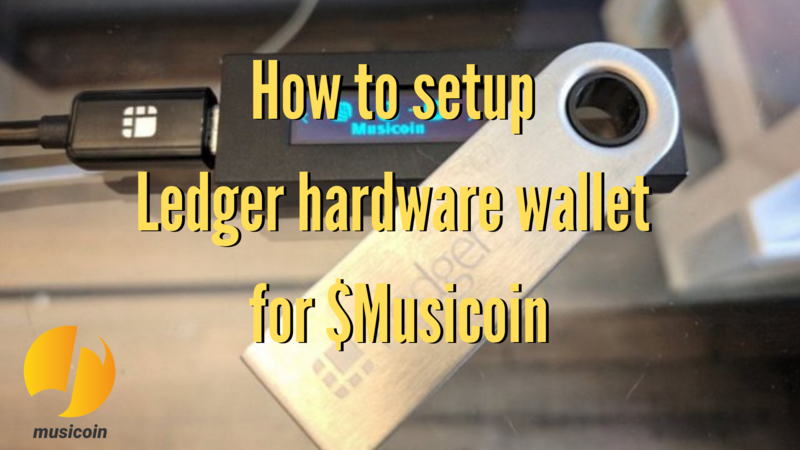 The recent addition of Musicoin to Ledger’s Nano S and Blue hardware wallets offers users of the world’s first blockchain-powered music streaming platform another secure way to store $MUSIC. The new Musicoin Ledger apps join Trezor support for simple integration with both MyEtherWallet and MyCrypto web-based wallet services. Because all transactions are signed within hardware wallets, your private keys do not risk the chance of being exposed online. Musicoin is a fork of Ethereum and not an ERC-20 token, so users must be sure to select the custom MUSIC (Musicoin.org) network configuration from the MyEtherWallet and MyCrypto dropdown menus. Check out the following step-by-step instructions for installing the Musicoin app, managing transactions, and sending $MUSIC from exchanges to your Ledger below. Musicoin ($MUSIC) is a smart cryptocurrency and music streaming platform built upon the Musicoin blockchain. Musicians and listeners worldwide are encouraged to visit Musicoin’s official website at musicoin.org. Please contact press@musicoin.org for media inquiries.